Nowadays, rain chain gutters are becoming more and more popular. They have a beautiful, unique aesthetic, while retaining all of the functionality of traditional gutters. Now, let’s delve a little deeper. Here are a few advantages that you can enjoy when you opt to have rain chain gutters installed in lieu of traditional downspouts. Why Opt for Rain Chain Gutters? Rain chain gutters are gorgeous, and they set your home apart from the neighbor’s. Most folks opt to install rain chain gutters, simply because of their aesthetic, but their functionality is still second to none. Rain chain gutters look great, ev en when it’s not raining. However, when there’s a downpour, these gutters truly shine. Whether you’re simply using rain chains that ware just that—chains—or if you’re opting for a more intricate design, when the rain comes, it’s entertaining to watch water cascade down the drain. Rain chains also have a unique sound during a rainstorm, and some chains are designed to harness the power of the rain to produce a fantastic sound. Folks often ask, are rain chains as functional as traditional downspouts? Well, simply put, yes! 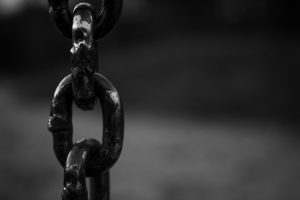 While there may be a bit of spray during a heavy storm, rain chains are still built to reroute water away from your home. Rain chains can feed into a channel that routes water away from the home. In addition, rain chains can lead into a basin or a rain barrel, or they can feed a rain garden. You can truly get creative with your rain chains! 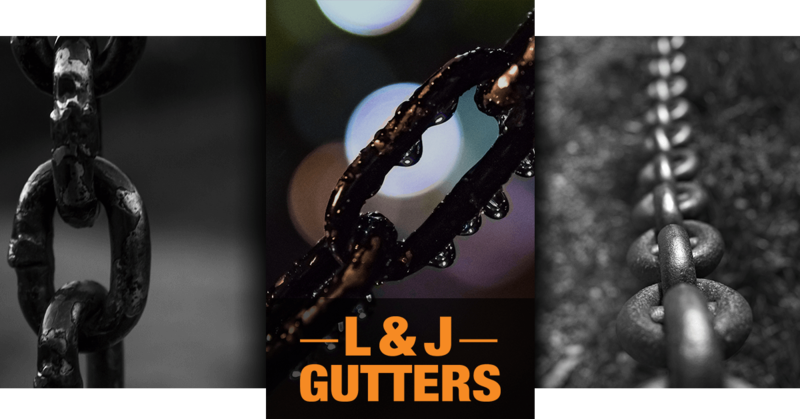 Here at L & J Gutters, rain chain installations are just one of our many specialties. We’re Freeport’s premier gutter manufacturers and installers. We’re a family owned and operated company, and we have over a decade of experience in the business. Learn more about our team, and take a look at previous clients’ testimonials! Count on us for all of your gutter service needs! We work with folks throughout Walton, Okaloosa, and Bay Counties.